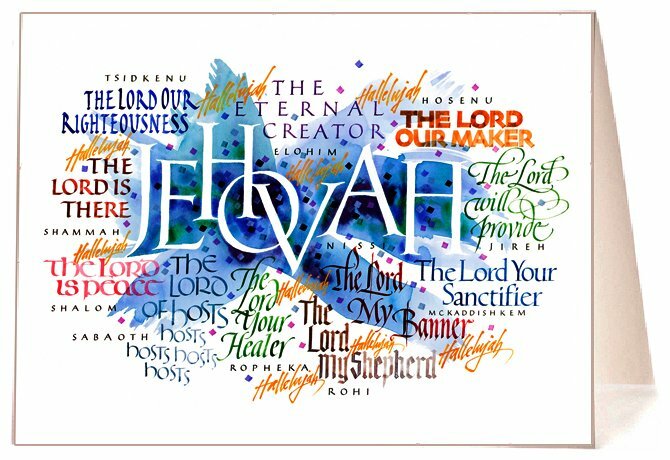 Tim uses his expressive calligraphy to celebrate the many names of Jehovah used by the different faith traditions throughout the world. 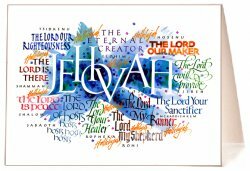 Through his art, Tim Botts creates a wonderful ecumenical illustration of the different words used to describe Jehovah. This medley of calligraphic words, derived from the many languages of our world, becomes an global homage to Jehovah - our great God who is All in All. This is one of the important things we celebrate at Christmas and throughout the year. - Inside Copy: Glory and honor to our great God who is all in all!